Your prospect list can be sliced and diced a number of ways, each one driving critical insights into whether or not they are likely to close. 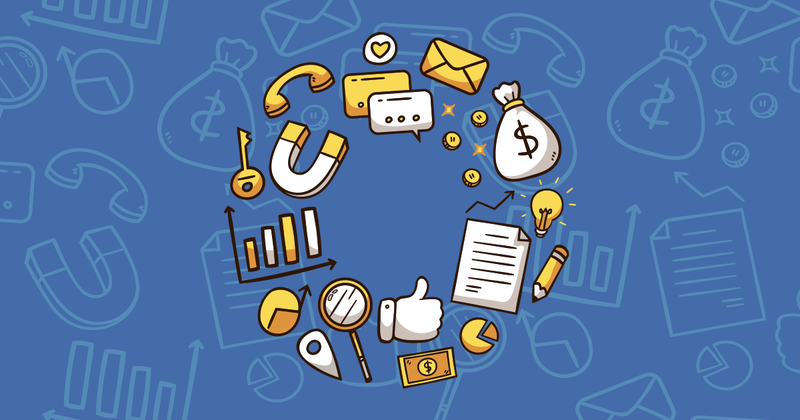 You can segment your leads by their source: leads generated by referral traffic may be more receptive to a phone call than a lead generated by your marketing team’s latest broad-based awareness campaign. You can also segment your leads by the industry vertical, their company size and their role. Salespeople need to find the companies that are best-fit targets for their products or services. This takes the idea of “buyer personas” into more of a “target company” space, in line with the account-based marketing model. Viewing your prospects, or group of prospects, within this skew may just be what it takes to close your next big deal. When it comes to sales pipeline, bigger doesn’t necessarily mean better. A bloated pipeline can waste hours of your productivity, and may feel like rolling a boulder up a hill sometimes. Review your sales pipeline weekly or bi-weekly and those prospects who are found to be stalling within a typical sales cycle, re-assign them to a different list and schedule a follow-up email over the coming weeks. Use that as an opportunity to keep your prospect engaged, even though they are not active, by sending them interesting industry information and useful tips addressing their challenges and pain points. Good customer relationship management and marketing automation tools will come equipped with a lead scoring system. Within the lead scoring tool, you can assign positive values for positive engagements with your marketing material and positive actions on your website. By the same token, you are also able to negatively score a prospect based on various criteria, giving you a view of the health of your pipeline at a glance. Consider how you view a hot sales lead: someone who is engaging with your emails often, clicking on the links, visiting your webpages and sharing your social posts perhaps? Then, use the opposite actions to build a set of negative criteria to build out your negative lead scoring: people who are not opening your emails, not downloading your content and not visiting your website. This will give you a quick and clear view of which cold leads need to be filtered out of your sales pipeline. In this article, we’ve covered just 3 things that you can do to start cleaning out your sales pipeline. If you are interested in other ways that sales and marketing can work together to close more deals, take a look at our Sales Enablement eBook and read about how we used CRM and Marketing Automation to make more sales.